»News»Do you know how much college will really cost? Do you know how much college will really cost? STATEPOINT — Paying for college? Look beyond the tuition price tag when making your financial plans and you will encounter many expenses not listed in school brochures. Be aware of these costs. Determine in advance how you’ll pay for them and even consider how you may save money. No matter what your family’s financial status is, you should complete the FAFSA (Free Application for Federal Student Aid) form, which is the first step toward obtaining financial aid. Also explore additional financing options, like scholarships, tuition payment plans your school offers, federal loans and private alternative loans. Millions of Americans are faced with a rising amount of student loan debt. Make graduating debt-free your objective and only take out loans by necessity. After receiving award letters, scholarships and grants, calculate whether there is still a financial gap between your resources and the cost of college. Take out a private student loan only after exhausting these other resources and efforts first. If you do opt for a private loan, ensure you’re familiar with the loan’s terms, as well as the realities of graduating with debt. A responsible lender that defers payments until after you leave school can help you get educated on how loan repayment works and how this decision will affect you in the future. A loan consultant at your bank can help you explore the best options for you. For example, applying with a cosigner may qualify you for a lower interest rate, saving you money down the line. To be truly prepared for the years ahead, get as accurate an estimate of total college costs as possible. Most school websites offer a net price calculator that can give you an estimate of your total college cost and your financial aid award. Also, free online tools, such as Wells Fargo’s Get College Ready College Cost Calculator, available at http://www.WellsFargo.com/GetCollegeReady, helps you take all your personal factors into consideration. The site also features useful tips and checklists for parents and students on subjects like paying for college, managing money and building good credit while in school. When putting a price tag on college, don’t forget to budget for other certain and potential expenses like a mobile phone plan, medical insurance, lab fees and class materials. 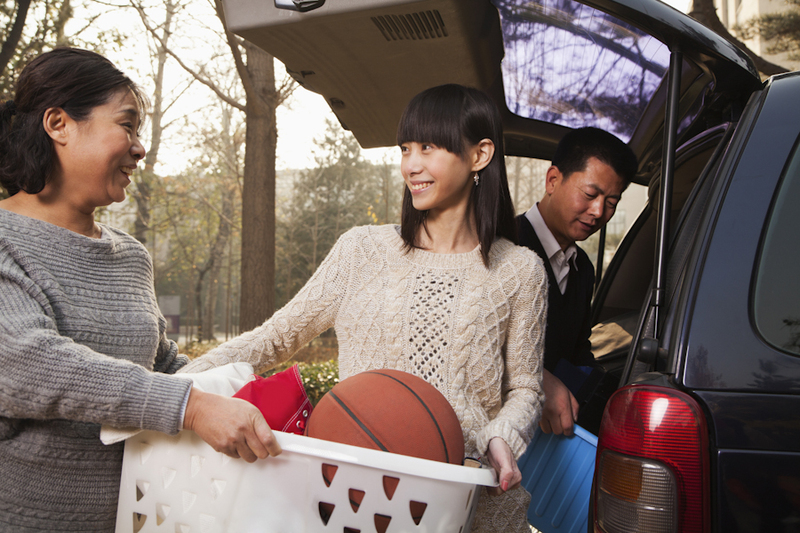 After tallying up college costs, you may encounter practical ways to reduce expenditures. For instance, you can save on big ticket items by attending your state school at the in-state tuition rate or by living at home. Save on day-to-day living costs by biking instead of driving and buying textbooks used. Get a smaller meal plan and prepare some meals in your apartment. There’s no doubt about it, college is expensive. Be realistic about the true costs associated with a financing an education and get savvy about how to pay for it wisely.